What is the AWS Free Usage Tier? * These free tiers are only available to existing AWS customers who have signed-up for Free Tier after October 20, 2010 and new AWS customers, and are available for 12 months following your AWS sign-up date. When your free usage expires or if your application use exceeds the free usage tiers, you simply pay standard, pay-as-you-go service rates (see each service page for full pricing details). Restrictions apply; see offer terms for more details. For EC2 and RDS Free Tier, t1.micro may be substituted for t2.micro. The S3 Free Tier will only apply to storage in the Standard Storage class. **These free tiers are available to both existing and new AWS customers indefinitely. For EC2 and RDS Free Tier, t1.micro may be substituted for t2.micro. ***If the combined usage is still under 30GB, both will be free. If the combined usage is over 30GB, the more expensive storage will count against the free tier first. When does the AWS free usage tier expire? The AWS free usage tier will expire 12 months from the date you sign up. When your free usage expires or if your application use exceeds the free usage tiers, you simply pay standard, pay-as-you-go service rates (see each service page for full pricing details). Restrictions apply; see offer terms for more details. 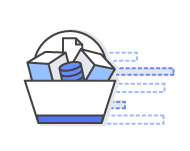 Amazon Simple Workflow Service, Amazon DynamoDB, Amazon SimpleDB, Amazon Simple Notification Service, and Amazon Simple Queue Service free tiers are available to both existing and new AWS customers indefinitely. What do I need to do to qualify for the AWS free usage tier? The AWS free usage tier is available to all new customer accounts – students, entrepreneurs, small businesses, and Fortune 500 companies are all welcome to sign up. To start using the AWS free usage tier, create an AWS account, subscribe to the services you’d like to use, and enter a valid credit card. If we sign-up for Consolidated Billing, can we get the AWS free usage tier for each account? No, customers that use Consolidated Billing to consolidate payment across multiple accounts will only have access to one free usage tier. If I don’t use all of my free usage per month will it roll over to the next month? No, the AWS free usage tier is applied to your monthly usage, will expire on the 1st day of the new month, and does not accumulate. If I go over the free usage tier per month, how much will I have to pay? How do I know how much I’ve used and if I’ve gone over the free usage tiers? By logging into your Account Activity page, you can see current and past usage activity by service and region, and download Usage Reports. Can I use the AWS free usage tier in any region? Yes, the AWS free usage tier applies to participating services across all AWS regions: US East (Northern Virginia), US West (Oregon), US West (Northern California), EU (Ireland), EU (Frankfurt), Asia Pacific (Singapore), Asia Pacific (Tokyo), Asia Pacific (Sydney), and South America (Sao Paulo). The AWS free usage tier for Amazon CloudFront is aggregated across all AWS edge locations. Your usage is calculated each month across all regions and automatically applied to your bill. For example, you will receive 750 Amazon EC2 Linux Micro Instance hours for free across all of the regions you use, not 750 hours per region. Where can I find information on using Amazon EC2 Microsoft Windows Server Micro Instances as part of AWS free usage tier? Please see AWS free usage tier with Windows FAQ. Where can I find information on using Amazon RDS Micro Instances as part of AWS free usage tier? Please see AWS free usage tier with Amazon RDS. Does an AWS customer have access to 750 instance hours each of the Linux and Windows t2.micro instances under the AWS Free Usage Tier? Yes. A customer with access to the AWS Free Usage Tier can use up to 750 instance hours each of t2.micro instances running Linux and Windows. Usage of the Linux and Windows t2.micro instances are counted independently. Are there any limitations to how I use the AWS free usage tier? AWS’s free usage tier is not limited to specific use cases. This offering provides new AWS customers with free usage tiers for certain AWS services to help you get started. If you have a new idea that you’d like to launch or if you have an existing application you want to run in the cloud, this is a great way to get started for free. Some ideas include, but are not limited to, hosting low traffic websites or blogs, social media applications, development and test projects, proof of concepts, and more. See how other customers are using AWS today in our case study section. I’m eligible for the free usage tier, but I received a charge. Why? AWS’s free usage tier is available to new AWS accounts created on or after October 21, 2010. The free tier applies to certain participating AWS services up to a specific maximum amount of usage each month—applicable services and usage amounts are defined above and at aws.amazon.com/free. When an account goes over a free tier of usage, the standard AWS service rates will be billed to your credit card. If you have not exceeded the usage tiers, you may have been charged for related services that are not covered under the free tier. Some examples include: if you are running an Amazon EC2 t2.small instance rather than a t2.micro instance, or if you are using a service not included in the offer, such as Amazon ElastiCache. To review your AWS usage activity, log into your Account Activity page and download Usage Report at aws.amazon.com/account-activity. If you have not exceeded the usage tiers, you may have been charged for related services that are not covered under the free tier. 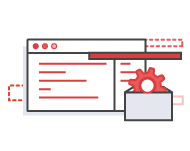 Some examples include: if you are running an Amazon EC2 m1.small instance rather than a t1.micro instance, if you are using a SUSE Linux instance rather than an Amazon EC2 Linux instance, or if you are using a service not included in the offer, such as Amazon ElastiCache. To review your AWS usage activity, log into your Account Activity page and download Usage Reports at aws.amazon.com/account-activity. Does the AWS free tier include Amazon S3 Reduced Redundancy Storage (RRS)? No, the AWS free tier does not include Amazon S3 RRS storage. The AWS free tier includes 5 GB of Amazon S3 standard storage, which offers the highest Amazon S3 durability.